Refined stainless steel made leaf filter for filtering cooking oil Specification and Type,Shea Butter Oil Extraction Machine, Shea Butter oil press machine,Shea Butter Oil Processing Machine,shea butter oil plant equipment. Shandong Leader Machinery Co.,Ltd. can supply you full sets of stainless steel made leaf filter for filtering cooking oil with high-technology and eiciency.Shandong Leader Machinery Co.,Ltd. have rich experience for stainless steel made leaf filter for filtering cooking oil in cooking oil plant installation,Shandong Leader Machinery Co.,Ltd. can support customer to set up small/mini stainless steel made leaf filter for filtering cooking oil in China and overseas. a. Open valve, start decolorizing machine pump. Let the filtered fluid enter into filtering machine. All other valves should be closed at the same time.The time of filling the fluid depends on the pumps flow and valves. Generally, it will take about 5-8 minutes to fill up. moment, there are still many impurities mixing in the fluid. This fluid cannot be used as finished fluid. They will be back to decolorizing pump, till you can observe the pure and clean fluid outflowing from the mirror 1.2. This stage is called recycling process. This recycling is used to filter the impurities and produce better fluid. It will take about 3- 6 minutes. not be above 0.45 mpa. 1. in order to keep the filter cake stable normally the speed of flow is constant. Hence, before closing the valve 1.4 make sure the valve 1.5 is open. 2. If the fluid in the decolorizing tank falls to the warning line, open up the valve 1.4 and switch off the valve 1.5. in order to make the fluid return to the decolorizing tank and recycle it until the fluid in the decoloring tank again goes up to the working location. Open up the valve 1.5 and switch off the valve 1.4 again. 3.The maximum pressure of this filtering machine is 0.45 mpa and the maximum temperature is 150 degree centigrade. The conditions should be strictly followed. Shandong Leader Machinery Co.,Ltd. are one of the leading Manufacturers and Suppliers of stainless steel made leaf filter for filtering cooking oil.Shandong Leader Machinery Co.,Ltd. manufacture stainless steel made leaf filter for filtering cooking oil making machine using cutting-edge technology,Shandong Leader Machinery Co.,Ltd. 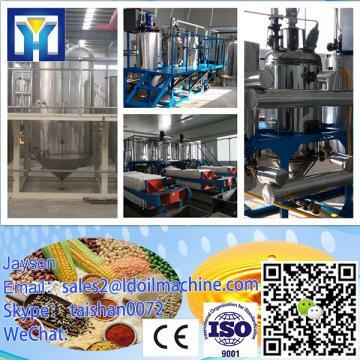 have many kinds of edible oil machine for you reference,such as Shea Butter Oil Plant Equipment,stainless steel made leaf filter for filtering cooking oil,Shandong Leader Machinery Co.,Ltd. can meet your diShea Butter Oil Plant Equipmenterent requirement in Shea Butter Oil Plant Equipment.Welcome to contact Shandong Leader Machinery Co.,Ltd.,contact name:Ms.Myra for a quotation(Tel/whatsapp:0086 18363092712, Email:sales2@ldfoodmachine.com,Skype:leaderfoodmachine2). Welcome to send us your enquiry about capacity for stainless steel made leaf filter for filtering cooking oil and raw material you want to use for stainless steel made leaf filter for filtering cooking oil,and specific requirements for stainless steel made leaf filter for filtering cooking oil.We will provide you best solution for your project about Shea Butter Oil Plant Equipment.